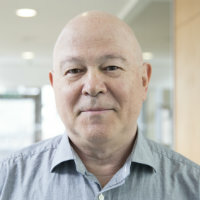 Prof Vladimir Kaishev is a Professor of Actuarial Science at the Faculty of Actuarial Science and Insurance (FASI), Cass Business School, City University, London. He joined FASI in 2002. In 2001 he has been a visiting lecturer in actuarial mathematics at the Center of Actuarial Studies, University of Melbourne, Australia. From 1994 until 2000, Prof Kaishev was Head of the Department of Computational Stochastics at the Institute of Mathematics of the Bulgarian Academy of Sciences. He holds a PhD degree in statistics and information theory from the Moscow Technical University. He has been a visiting researcher at the Mathematics Research Center, University of Wisconsin- Madison, and at the University of California at Los Angeles. Prof Kaishev has also been a visiting lecturer at the Department of Actuarial Mathematics and Statistics, Heriot-Watt University, Edinburgh, at Sofia University "St. Kliment Ohridski" and has delivered invited lectures at Stanford University (Dept. of Statistics) and at a number of European universities and research institutions. His research interests are in actuarial mathematics, risk and ruin theory, reinsurance modeling, spline-functions and their applications to probability, statistics and actuarial science, competing risks and copulas. He has also worked on a number of applied research and consultancy projects in the field of actuarial science and insurance, chemistry, medicine, ship hydrodynamics. Prof Kaishev was the initiator of the re-establishment of the Bulgarian Actuarial Society in 1993 and has served as its president from 1993 to 2002. He is also a member of the American Mathematical Society. Prof Kaishev is a referee for international academic journals in the field of actuarial science and stochastics. MSc (Moscow) and PhD (Moscow). 31/10/2013; 19/10/2009; Awarded a Certificate for Excellence in Research in grateful recognition of outstanding contribution to the reputaion of Cass Business School in research through publications in journals of the highest standing. Jho, J.H. and Kaishev, V.K. (2011). On some mixture distributions and their extreme value behavior. Kaishev, V.K. (2011). Stochastic processes induced by Dirichlet (B-)splines: modelling multivariate asset price dynamics. Joint Seminar of the Faculty of Actuarial Science and Insurance and Faculty of Finance, Cass Business School Cass Business School, City University London, UK, 18 May 2011. Kaishev, V.K. (2010). Linear Combinations of Gamma Processes and Dirichlet (B-)splines:Applications in Finance and Insurance. 14th International Congress on Insurance: Mathematics and Economics University of Toronto, Toronto, Ontario, Canada, 17-19 June 2010. Kaishev, V.K. (2010). Linear combinations of Gamma, (LG) processes and Dirichlet (B-) splines: Applications in finance and insurance. 4th CSDA International Conference on Computational and Financial Econometrics (CFE�10) University of London, London, UK, 10-12 December 2010. Kaishev, V.K. (2010). Linear combinations of Gamma, (LG) processes and Dirichlet (B-) splines: Applications in finance and insurance. University of Manchester, School of Mathematics, Probability and Statistics Research Seminars University of Manchester, Manchester, UK, 1 December 2010. Kaishev, V.K. (2010). On the (joint) distribution of the time of ruin and the deficit at ruin. Third International Gerber-Shiu Workshop University of Waterloo, Waterloo, Ontario, Canada, 14-16 June 2010. Kaishev, V.K. (2010). Operational Risk Capital Assessment, Based on Ruin and the Deficit at Ruin. Colloquia of the Department of Statistical and Actuarial Sciences, University of Western Ontario University of Western Ontario, London, Western Ontario, Canada, 24 June 2010. Kaishev, V.K. (2010). Ruin-probabilistic estimation of operational risk capital in finance and insurance. International Workshop in Applied Probability (IWAP 2010) Universidad Carlos III de Madrid, Colmenarejo, Madrid, Spain, 5-8 July 2010. Kaishev, V.K. and Ignatov, Z.G. (2009). Finite-time ruin probability formulae for Erlang claim inter-arrival times and dependent claim amounts. 2b) or not 2b) Conference in honor of Professor Hans U . Gerber. University of Lausanne, Switzerland, 2-3 June 2009. Kaishev, V.K. (2009). Stochastic processes induced by Dirichlet (B-) splines with applications in finance and insurance. King's College Financial Mathematics and Applied Probability Seminars 2009-2010 King's College, London, 8 December 2009. Kaishev, V.K. (2009). Copulas Induced by the Dirichlet Distribution and B-splines. Workshop on Copula Theory and its Applications, Warsaw Faculty of Mathematics, Informatics, and Mechanics, University of Warsaw, Poland, 25-26 September 2009. Kaishev, V.K. and Ignatov, Z.G. (2008). Finite-time Probability of Ruin Under Erlang Claim Inter-arrivals. International Workshop on Applied Probability (IWAP 2008) 7-10 July, Compiègne, France. Kaishev, V.K. and Ignatov, Z.G. (2008). On Finite-time Ruin Under Erlang Claim Inter-arrivals. 12th International Congress on Insurance: Mathematics and Economics (IME 2008) Dalian, China, 16-18 July 2008. Kaishev, V.K. and Dimitrova, D.S. (2008). Dirichlet bridge sampling for the variance gamma process: pricing path-dependent options. 3rd International Conference on Mathematics in Finance (MiF 2008) Kruger National Park, South Africa, 1-6 September 2008. Kaishev, V.K., Dimitrova, D.S. and Ignatov, Z.G. (2007). Operational Risk and Insurance: A Ruin probabilistic reserving approach. 37th ASTIN Colloquium 19-22 June, Lake Buena Vista, Florida, USA. Kaishev, V.K. (2007). Copulas induced by the Dirichlet distribution and B-splines. Faculty of Actuarial Science and Insurance Seminar Cass Business School, London, UK, 23 May 2007. Kaishev, V.K. (2006). On B-spline related stochastic processes and some applications in finance and insurance. Quantitative Methods in Finance (QMF 2006) Sydney, Australia, 13-16 December 2006. Kaishev, V.K. and Dimitrova, D.S. (2006). On the infinite-time ruin and the distribution of the time to ruin. 10th International Congress on Insurance: Mathematics and Economics (IME 2006) Leuven, Belgium, 18-20 July 2006. Kaishev, V.K. and Dimitrova, D.S. (2006). Optimal joint survival reinsurance: an efficient frontier approach. 4th Conference in Actuarial Science & Finance on Samos Samos, Greece, 14-17 September 2006. Ignatov, Z.G. and Kaishev, V.K. (2004). On the Probability of Ruin in Infinite Time for Integer Valued Claims. IWAP 2004 : 2nd International Workshop on Applied Probability 22-25 March, Department of Statistics and Insurance Science, University of Piraeus, Greece. Kaishev, V.K., Dimitrova, S.D. and Haberman, S. (2004). Modelling Competing Risks Survival Times Using Copulas. 8th International Congress on Insurance: Mathematics and Economics (IME 2004) Rome, Italy, 14-16 June 2004. Kaishev, V.K. (2004). Can (re)-insurance risk be optimally shared. Seminar of the Department of Mathematics and Statistics UMIST, Manchester, 12 May 2004. Kaishev, V.K. and Ignatov, Z.G. (2004). On the Probability of Ruin in Infinite Time for Integer Valued Claims. 2nd International Workshop in Applied Probability (IWAP 2004) Piraeus, Greece, 22-25 March 2004. Kaishev, V.K. (2003). Finite-time Ruin Probability for Continuous Dependent Claims. 7th International Congress on Insurance: Mathematics and Economics (IME 2003) Lyon, France, 24-27 June 2003. Kaishev, V.K. (2002). Evaluation of the Probability of Ruin in Finite time when the claim size distribution is Continuous. 2nd Conference in Actuarial Science & Finance on Samos Samos, Greece, 20-22 September 2002. Kaishev, V.K. (2002). Optimal Retention Levels, Given the Joint Survival of Cedent and Reinsurer. 6th International Congress on Insurance: Mathematics and Economics (IME 2002) Lisbon, Portugal, 14-17 July 2002. Kaishev, V.K. (2001). On Ruin Probabilities in Insurance and Reinsurance. Statistics Seminar of the School of Mathematics and Statistics, UNSW School of Mathematics and Statistics, The University of New South Wales, Sydney, October 2001. Kaishev, V.K. and Todorov, N. (2000). Status of Pension Legislation in Eastern Europe: The Bulgarian Experience. 9th EURACS Conference and Workshops on Pensions In Europe - 'A European Focus' Radisson SAS Palais Hotel, Vienna, September 2000. Kaishev, V.K. (2000). An improved finite-time ruin probability formula and its "Mathematica" implementation. 4th International Congress on Insurance: Mathematics and Economics (IME2000) University of Barcelona, July. Kaishev, V.K. (2000). Animated survival probabilities surfing on the wave of success. 35th Actuarial Research Conference (ARC 2000) Universite Laval, Quebec City, Quebec, Canada, August. Kaishev, V.K. (1998). On Some Actuarial Encounters with Spline Functions. International Conference "Applied Probability Week" Department of Actuarial Mathematics and Statistics, Heriot-Watt University, Edinburgh. Kaishev, V.K. and Ignatov, Z.G. (1997). Two-sided Bounds for the Finite-time Probability of Ruin. International Conference of Actuarial Science: Theory, Education and Implementation Steklov Mathematical Institute, Moscow. Kaishev, V.K. (1996). On the calculation of finite-time ruin probability in the case of multiple claims. International Workshop on Ruin Probability Bankya, Bulgaria. Ignatov, Z.G. and Kaishev, V.K. (2016). First crossing time, overshoot and Appell–Hessenberg type functions. Stochastics, 88(8), pp. 1240–1260. doi:10.1080/17442508.2016.1230613 . Haslip, G.G. and Kaishev, V.K. (2015). A Novel Fourier Transform B-spline Method for Option Pricing. Journal of Computational Finance, 19(1), pp. 41–74. Kaishev, V.K., Dimitrova, D.S., Haberman, S. and Verrall, R. (2015). Geometrically designed, variable knot regression splines. Computational Statistics, 31(3), pp. 1079–1105. doi:10.1007/s00180-015-0621-7 . Haslip, G.G. and Kaishev, V.K. (2015). A novel fourier transform B-spline method for option pricing. Journal of Computational Finance, 19(1), pp. 41–74. doi:10.21314/JCF.2015.308 . Haslip, G.G. and Kaishev, V.K. (2014). Lookback option pricing using the Fourier transform B-spline method. Quantitative Finance, 14(5), pp. 789–803. doi:10.1080/14697688.2014.882010 . Kaishev, V.K., Nielsen, J.P. and Thuring, F. (2013). Optimal customer selection for cross-selling of financial services products. Expert Systems with Applications, 40(5), pp. 1748–1757. doi:10.1016/j.eswa.2012.09.026 . Kaishev, V.K. (2013). Lévy processes induced by Dirichlet (B-) splines: modelling multivariate asset price dynamics. Mathematical Finance, 23(2), pp. 217–247. Ignatov, Z.G. and Kaishev, V.K. (2012). Finite time non-ruin probability for Erlang claim inter-arrivals and continuous inter-dependent claim amounts. Stochastics, 84(4), pp. 461–485. doi:10.1080/17442508.2011.615932 . Haslip, G.G. and Kaishev, V.K. (2010). Pricing of reinsurance contracts in the presence of catastrophe bonds. ASTIN Bulletin, 40(1), pp. 307–329. doi:10.2143/AST.40.1.2049231 . Kaishev, V., Dimitrova, D. and Ignatov, Z. (2008). Operational risk and insurance: a ruin-probabilistic reserving approach. The Journal of Operational Risk, 3(3), pp. 39–60. doi:10.21314/jop.2008.047 . Ignatov, Z.G. and Kaishev, V.K. (2006). On the infinite-horizon probability of (non)ruin for integer-valued claims. Journal of Applied Probability, 43(2), pp. 535–551. doi:10.1239/jap/1152413740 . Ignatov, Z.G., Kaishev, V.K. and Krachunov, R.S. (2004). Optimal Retention Levels, Given the Joint Survival of Cedent and Reinsurer. Scandinavian Actuarial Journal, 2004(6), pp. 401–430. doi:10.1080/03461230410020437 . Ignatov, Z.G. and Kaishev, V.K. (2004). A finite-time ruin probability formula for continuous claim severities. Journal of Applied Probability, 41(2), pp. 570–578. doi:10.1239/jap/1082999087 . Ignatov, Z.G., Kaishev, V.K. and Krachunov, R.S. (2001). An improved finite-time ruin probability formula and its Mathematica implementation. Insurance: Mathematics and Economics, 29(3), pp. 375–386. doi:10.1016/S0167-6687(01)00078-6 . Ignatov, Z.G. and Kaishev, V.K. (2000). Two-sided Bounds for the Finite-time Probability of Ruin. Scandinavian Actuarial Journal, 2000(1), pp. 46–62. Kaishev, V.K. (1989). Optimal experimental designs for the B-spline regression. Computational Statistics and Data Analysis, 8(1), pp. 39–47. doi:10.1016/0167-9473(89)90064-9 . Kaisheva, M.K. and Kaishev, V.K. (1986). STATISTICAL ESTIMATE OF DOUBLE-LAYER PARAMETERS AT A STATIONARY MERCURY ELECTRODE IN THE PRESENCE OF SODIUM LAURYL SULFATE. Soviet electrochemistry, 22(6), pp. 804–807. Kaisheva, M.K. and Kaishev, V.K. (1985). Estimation of Adsorption Parameters in Two Models of Differential Capacity. A Comparison Based on Nonlinear Regression Analysis. Langmuir, 1(6), pp. 760–763. doi:10.1021/la00066a020 . Kaisheva, M., Kaishev, V. and Matsumoto, M. (1984). Adsorption of dodecylhexaoxyethylene glycol monoether at a stationary mercury electrode. A spline regression model of differential capacity. Journal of Electroanalytical Chemistry, 171(1-2), pp. 111–121. doi:10.1016/0022-0728(84)80109-6 . NIKOLOV, A., MARTYNOV, G., EKSEROVA, D. and KAISHEV, V. (1980). MICELLE FORMATION AND THE PROPERTIES OF ADSORPTION LAYERS OF IONOGENIC SURFACTANTS AT CONCENTRATIONS SIGNIFICANTLY BELOW THE CRITICAL MICELLE CONCENTRATION. COLLOID JOURNAL OF THE USSR, 42(4), pp. 559–565. Ignatov, Z.G., Kaishev, V.K. and Krachunov, R.S. (2001). Explicit Finite-time Ruin Probabilities for Discrete, Dependent Claims..
Kaishev, V. (2010). Stochastic processes induced by Dirichlet (B-) splines: modelling multivariate asset price dynamics. London, UK: Faculty of Actuarial Science & Insurance, City University London. Ignatov, Z.G., Kaishev, V. and Krachunov, R. (2003). Optimal retention levels, given the joint survival of cedent and reinsurer. London, UK: Faculty of Actuarial Science and Insurance, City University London. Kaishev, V.K. (2011). Copulas Induced by the Dirichlet Distribution and B-splines. Kaishev, V.K., Nielsen, J.P. and Thuring, F. (2011). Optimal cross-selling of financial services products: Application to insurance. An intensive 20 hours course on “Stochastic processes and their applications in insurance and finance - Risk theory” has been delivered for the needs of the Bulgarian Actuarial Society (Member of the IAA) to over 30 participants, among which professionals from multinational insurance companies and banks in Sofia, Bulgaria. Economic Quality Control, Associate Editor, 2013 – present. The 10th Bachelier Colloquium in Mathematical Finance and Stochastic Calculus. (Conference) Metabief, France (2016). Invited speaker. Workshop on Causes of death. (Workshop) Laboratoire de Probabilités (LPMA), UPMC (Paris VI), Paris, France (2015). Invited speaker. IME 2015. (Conference) University of Liverpool, Liverpool (2015). FISC (Flint International Statistical Conference) One City – 100 Years Under Variability. (Conference) Kettering University, Flint, Michigan, U.S.A (2014). Invited speaker. 2nd ISNPS (International Society of NonParametric Statistics) Conference. (Conference) Cadiz, Spain (2014). Invited speaker. FISC (Flint International Statistical Conference) One City – 100 Years Under Variability. (Conference) Kettering University, Flint, Michigan, U.S.A. (2014). Organising Committee. LSE Risk and Stochastics conference. (Conference) LSE, London (2014). Invited speaker. Imperial College London, Statistics Seminars. (Seminar) Imperial Colledge London (2013). Invited speaker. 17th INFORMS Applied Probability Society Conference. (Conference) Costa Rica (2013). Invited speaker. 17th INFORMS Applied Probability Society Conference, 15-17 July 2013. (Conference) Costa Rica (2013). Chair. Barclays Bank's Global Quants Seminar. (Seminar) London, UK (2013). Invited speaker. QUANT Congress Europe. (Conference) London, UK (2013). Invited speaker. LMS-EPSRC Short Course: Common Themes in Financial and Actuarial Mathematics. (Conference) Institute for Financial and Actuarial Mathematics, University of Liverpool, UK (2013). Invited speaker. The 7th Bachelier Colloquium in Mathematical Finance and Stochastic Calculus. (Conference) Metabief, France (2013). Invited speaker. Interplay between Probability and Actuarial Sciences IPAS. (Workshop) Universite Libre de Bruxelles, Brussels, Belgium (2012). Invited speaker. International Conference on Probability Theory and its Applications (Gnedenko 100 Conference). (Conference) Moscow State University, Moscow, Russia (2012). Invited speaker. IWAP 2012 - International Workshop on Applied Probability. (Workshop) Jerusalem, Israel (2012). Invited speaker. 7th Conference on Actuarial Science and Finance on Samos. (Conference) University of the Aegean, Karlovasi, Samos, Greece (2012). Invited speaker. Joint Seminar of the Faculty of Actuarial Science and Insurance and Faculty of Finance, Cass Business School. (Seminar) Cass Business School, City University London, UK, (2011). 4th CSDA International Conference on Computational and Financial Econometrics (CFE’10). (Conference) (2010). Invited speaker. 4th CSDA International Conference on Computational and Financial Econometrics (CFE’10), 10-12 December 2010. (Conference) University of London, London, UK (2010). Chair. University of Manchester, School of Mathematics, Probability and Statistics Research Seminars. (Seminar) University of Manchester, Manchester, UK (2010). Invited speaker. International Workshop in Applied Probability (IWAP 2010). (Conference) Universidad Carlos III de Madrid, Colmenarejo, Madrid, Spain (2010). Invited speaker. Colloquia of the Department of Statistical and Actuarial Sciences, University of Western Ontario. (Seminar) University of Western Ontario, London, Western Ontario, Canada (2010). Invited speaker. 14th International Congress on Insurance: Mathematics and Economics. (Conference) University of Toronto, Toronto, Ontario, Canada (2010). Third International Gerber-Shiu Workshop. (Workshop) University of Waterloo, Waterloo, Ontario, Canada (2010). Invited speaker. King's College Financial Mathematics and Applied Probability Seminars 2009-2010. King's College, London (2009). Invited speaker. Workshop on Copula Theory and its Applications, Warsaw. (Workshop) Faculty of Mathematics, Informatics, and Mechanics, University of Warsaw, Poland (2009). 2b) or not 2b) Conference in honor of Professor Hans U . Gerber. University of Lausanne, Switzerland (2009). Mortality and Longevity- Making Financial Sense of the Highly Uncertain. (Seminar) Royal College of Physicians, London, UK (2009). Invited speaker. Co-authors: Dimitrova, D.S., Haberman, S.
3rd International Conference on Mathematics in Finance (MiF 2008). (Workshop) Kruger National Park, South Africa (2008). 12th International Congress on Insurance: Mathematics and Economics (IME 2008). (Conference) Dalian, China (2008). International Workshop on Applied Probability. (Workshop) Université de Technologie de Compiègne, France (2008). Invited speaker. Statistics Research Seminar Series. University of Southampton, UK (2008). Invited speaker. 37th ASTIN colloquium. (Conference) Dimitrova, D.S. and Ignatov, Z.G. (2007). Faculty of Actuarial Science and Insurance Seminar. (Seminar) Cass Business School, London, UK (2007). Quantitative Methods in Finance (QMF 2006). (Conference) Sydney, Australia (2006). 4th Conference in Actuarial Science & Finance on Samos. (Conference) Samos, Greece (2006). 10th International Congress on Insurance: Mathematics and Economics (IME 2006). (Conference) Leuven, Belgium (2006). 9th International Congress on Insurance: Mathematics and Economics (IME 2005). (Conference) Quebec city, Canada (2005). 8th International Congress on Insurance: Mathematics and Economics (IME 2004). (Conference) Rome, Italy (2004). Co-authors: Dimitrova, S.D. and Haberman, S.
Seminar of the Department of Mathematics and Statistics. (Seminar) UMIST, Manchester (2004). Invited speaker. 2nd International Workshop in Applied Probability (IWAP 2004). (Conference) Piraeus, Greece (2004). Invited speaker. 7th International Congress on Insurance: Mathematics and Economics (IME 2003). (Conference) Lyon, France (2003). 2nd Conference in Actuarial Science & Finance on Samos. (Conference) Samos, Greece (2002). 6th International Congress on Insurance: Mathematics and Economics (IME 2002). (Conference) Lisbon, Portugal (2002). Statistics Seminar of the School of Mathematics and Statistics, UNSW. (Seminar) School of Mathematics and Statistics, The University of New South Wales, Sydney (2001). Invited speaker. 9th EURACS Conference and Workshops on Pensions In Europe - 'A European Focus'. (Conference) Radisson SAS Palais Hotel, Vienna (2000). Invited speaker. 35th Actuarial Research Conference (ARC 2000). (Conference) Universite Laval, Quebec City, Quebec, Canada (2000). 4th International Congress on Insurance: Mathematics and Economics (IME2000). (Conference) University of Barcelona (2000). International Conference "Applied Probability Week". (Conference) Department of Actuarial Mathematics and Statistics, Heriot-Watt University, Edinburgh (1998). International Conference of Actuarial Science: Theory, Education and Implementation. (Conference) Steklov Mathematical Institute, Moscow (1997). Invited speaker. International Workshop on Ruin Probability. (Conference) Bankya, Bulgaria (1996). Invited speaker.